For now its all soups, casseroles, lit fires and the heavy weight duvet on the bed. Not to mention opaque tights, base layers, gloves and scarves. Even the bassets have on the coldest days been sporting their rather fetching all weather overcoats. That said, the beautiful thing about New Zealand being a cold country with a hot sun is that even on winter days there is nothing better than afternoon tea and cake sitting out in the veranda taking in the rays. For a little extra winter kick I’ve started to get back into making ginger cake as I slowly rebuild my baking efforts towards mastering low slung cakes. I took inspiration from one of New Zealand’s rising food stars who writes a prolific blog, Petite Kitchen, with a focus on healthy food mostly without. You know, without wheat, gluten, sugar, dairy etc and, if my food writing group is to be believed, is on a roll in the latest food fad. I shan’t get into that now as time is short, I have friends coming for dinner and a certain basset is pawing at my leg and politely pointing out that is it 3 minutes until he expects his dinner to be served. For now consider treating yourself to a warming winter loaf complete with nature’s own warming spice Ginger. 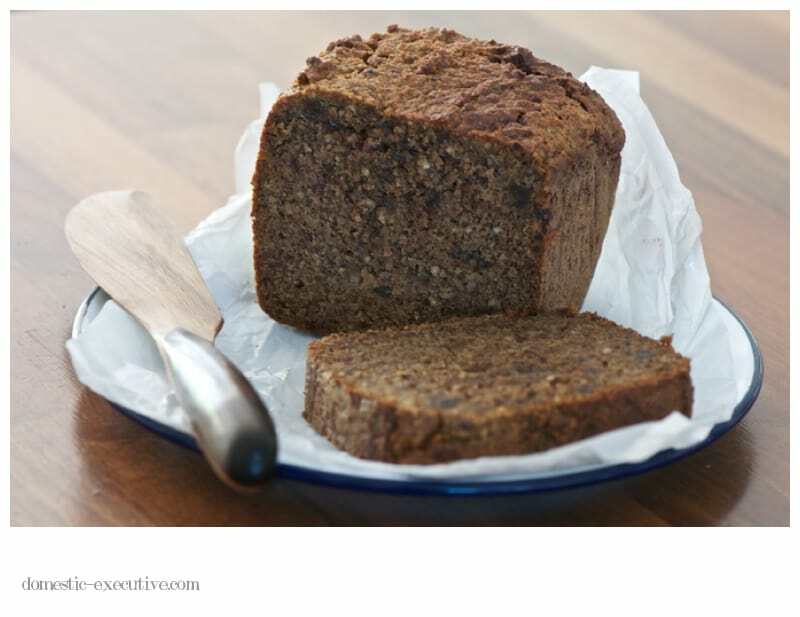 This is one of the easiest ginger loaves made without the juggling spoonfuls of molasses but instead creating your own sweet stickiness from dates instead. No heavy weight stirring needed either just lean in like modern day domestic goddesses and rely on your food processor instead. So armed with a shot of inspiration I adapted one of Petite Kitchen’s recipes to make a gorgeously gingery loaf with a hint of sweet and a touch of heat. 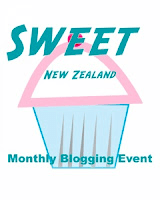 It’s been a long while in coming but today I’m blogging this as as part of Sweet New Zealand a monthly blogging bake off created by Alessandra Zecchini and hosted this month by one of my online friends Sue who also is a prolific food blogger at Couscous and Conscienssness. Enjoy with a large mug of steaming tea. Awesome entry, Julie. I love the use of ground hazelnuts here instead of flour and dates instead of all that golden syrup or molasses. Ginger cakes and loaves seem so perfect in winter, don’t they – ginger offers such warmth. I have a friend coming over on Monday, and I think this might be the perfect treat for us to enjoy with an afternoon cuppa. Thanks for sharing at Sweet NZ, and BTW hope you have a wonderful holiday – you know that I’, more than a little bit jealous. Posted on As a Scentsy consultant, I am in many homes with a vaertiy of decorating styles and I’ve seen a lot similar to the above creations . Before I go to my hostess’ home for her party, I ask her what her color scheme or decorating theme is so that I can bring a warmer that would be a good fit for her to use as a display or gift. MANY times they ask what do you mean? We have all sorts of colors and decorations. When I enter the home, I see they are serious! At least when I leave the Scentsy warmer, they will have at least one classy piece of decor.